When a blog article just won't cut it, try displaying your story and data in an eye-catching, easily digestible infographic. Our creative team will help you put together an entertaining, shareable piece to fit your brand. 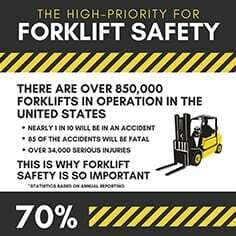 Forklift safety should be a high priority in every facility. Whether you are driving an electric lift truck or operating on a motive power battery, proper safety measures must take place. Adhere by the following tips below in Alpine's Forklift Safety Infographic for optimum safety. 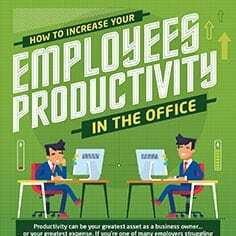 Productivity can be your greatest asset as a business owner … or your greatest expense. If you’re one of many employers struggling to light a fire under your employees, there are proven ways to boost staff yield and efficiency. With just a few simple changes, you can inspire your workers to work smarter and harder. Here are five ways to enhance productivity in the office from the pros at Naturals2Go. 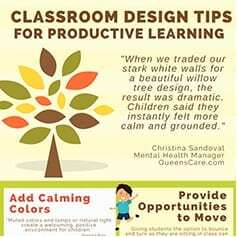 Thanks to a growing awareness of the profound impact classroom design can have on the educational achievements of students, opinions on classroom design are changing, as educators are making strides toward constructing optimal learning environments with the goal of meeting the educational needs of various groups of students. From dabbling in potions to studying muggles, nobody knows how to outfit a classroom better than the professors of the wizarding world. Did you know that 14 wizarding schools exist throughout the world? We only know of 11 so far, while three are shrouded in mystery. 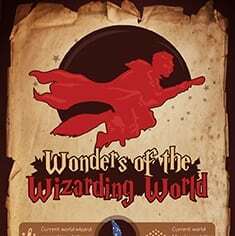 Read more interesting facts about the wizarding world—explore our infographic. San Francisco recently approved zoning for “micro-apartments,” which will only be 220 square feet in size, following in line with recent urban trends. 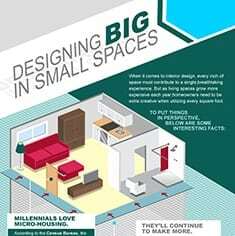 It would seem there is a big advantage to going small, given the growing interest in tiny homes and minimalism. Most people wonder if living in micro spaces is even feasible. The simple answer is yes – if you have the right approach. 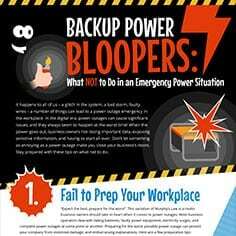 It happens to all of us – a glitch in the system, a bad storm, faulty wires – a number of things can lead to a power outage emergency in the workplace. In the digital era, power outages can cause significant issues, and they always seem to happen at the worst time! When the power goes out, business owners risk losing important data, exposing sensitive information, and having to start all over. Don’t let something as annoying as a power outage make you close your business’s doors. Stay prepared with these tips on what not to do. Check out Vizion’s top notch reporting platform – Vizion Insights! Reporting that is: Accurate. Meaningful. Actionable. Click here to find out more! Find out how our experienced team can put together the right solutions for your company.